Couples can experience a unique “touch of paradise” wedding or honeymoon in Vanuatu, combining romance with the peace and seclusion of a balmy South Pacific island setting. Vanuatu is known for its friendly happy people, volcanic landscapes, coral islands and dense tropical rainforests, pristine beaches, excellent snorkeling, world class diving and ancient custom villages. 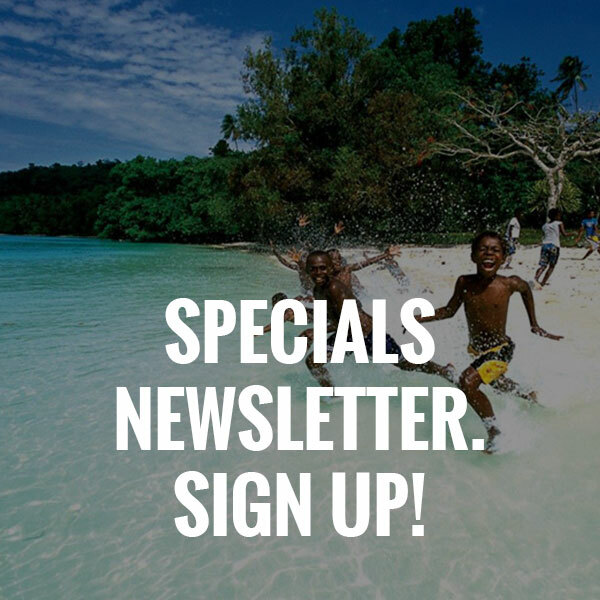 Combine your Vanuatu honeymoon or wedding with soft adventures including viewing the active volcano on the island of Tanna or diving the world’s largest intact wreck, the “USS President Coolidge” on the island of Espiritu Santo. Vanuatu offers the perfect setting with a number of properties offering specially designed travel packages for couples wishing to get married with a touch of magic on a sun drenched South Pacific Island. Just imagine a romantic dream tropical honeymoon escape with superb food, total relaxation, air-conditioned bungalows alongside tranquil blue waters. Get married in a Melanesian chapel with tropical decorations, the bride arriving by outrigger canoe while your guests offer a champagne toast to the backing of a Melanesian children’s choir. There are a number of honeymoon or wedding packages on offer for all tastes and budgets. Whether you’re after a resort wedding and honeymoon with all the trimmings, or a quiet and secluded romantic getaway Vanuatu is the perfect destination.